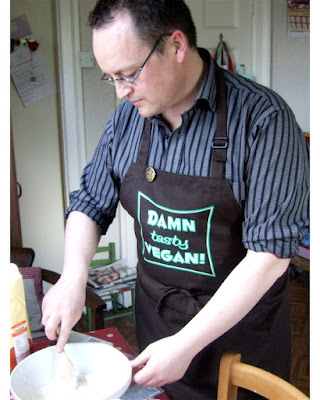 Here's Mr Vegan, hard at work making pizza dough for vegan pizzas. Recipe to follow. Nice work on the blog, looking forward to your recipes! Mr Vegan - I'm still waiting for that pizza recipe! Get a move on!